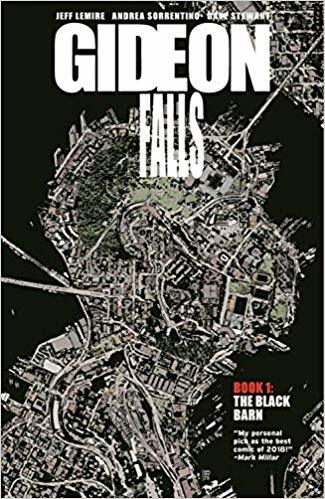 Gideon Falls Volume 1: The Black Barn by Jeff Lemire, Andrea Sorrentino, and Dave Stewart. Image, 2018. 9781534308527. Collects #1 – #6. Publisher’s Rating: M / Mature. Gideon Falls is a quiet little town, but something is seriously wrong there. The new pastor seems to sense it even before he’s under suspicion for murder. Norton knows it’s evil incarnate, and he’s trying to figure it out by combing through the city’s garbage and cataloging his finds. But he’s just been released from the hospital, and his therapist is about ready to have him committed again. Some think a holy war is underway. At the center of everything is the terrifying image of a black barn. 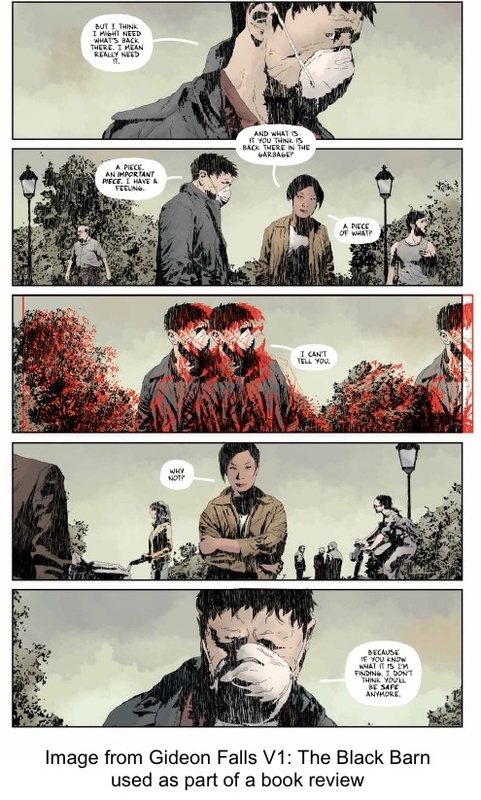 Lemire has been one of my favorite comics creators since the publication of Essex County. 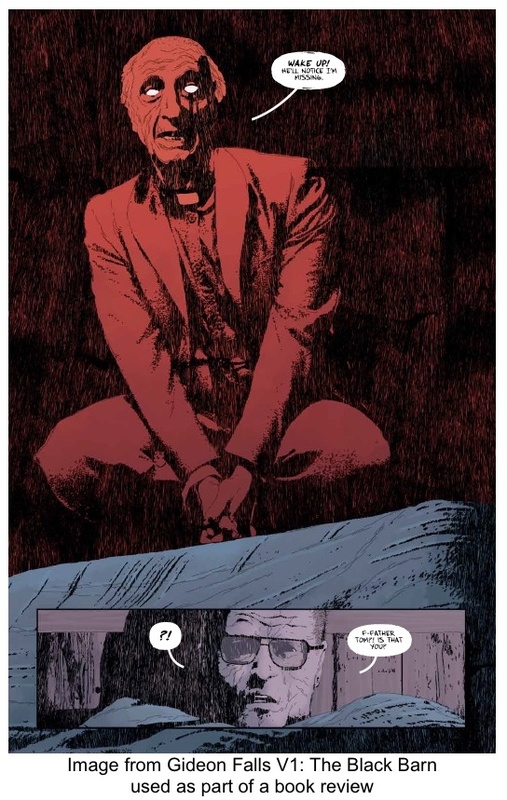 Kudos to his writing, Andrea Sorrentino’s shadowy art, and Dave Stewart’s colors in this volume. I filled my teenage years with supernatural horror, and maybe that’s why graphic novels in this genre don’t usually hold much appeal for me — they rarely freak me out. This one did.